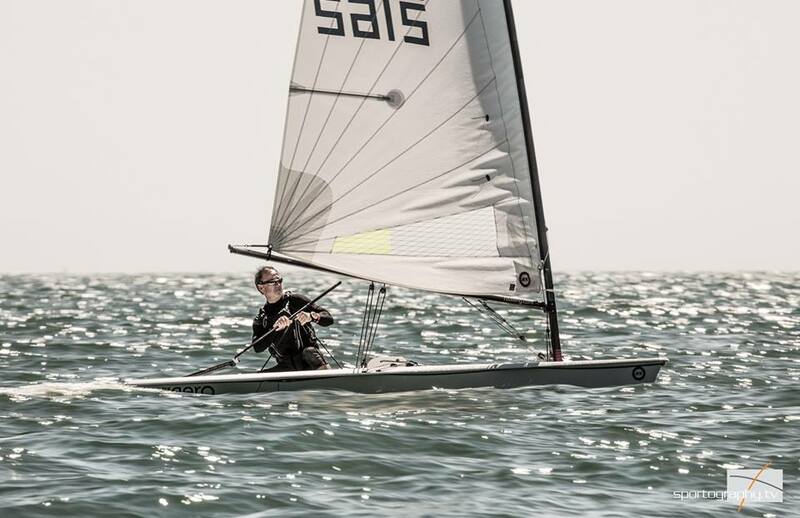 On a very warm and pleasant weekend 31 RS Aeros made it down to the south coast to Hayling Island Sailing Club for the RS Aero Southerns at the RS Classes Summer Champs. 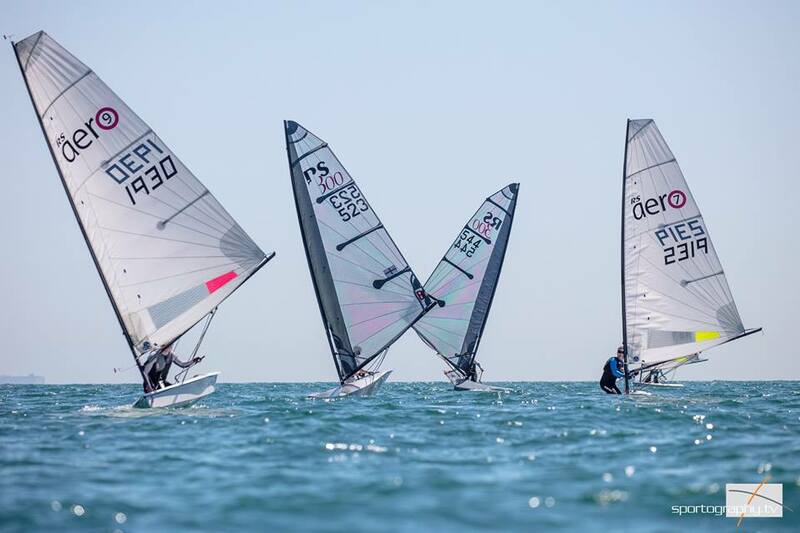 With over 200 boats entered from the various RS fleets and the forecast looking light but sailable, it was set to be a good weekend of racing and socialising. 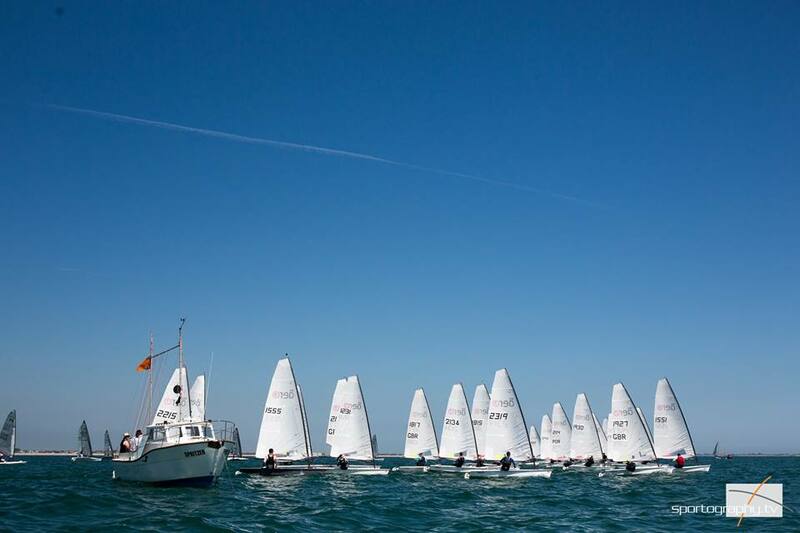 The racing took place on two separate courses with the RS300s, 100s and 500s joining the RS Aeros on one course and the rest of the fleets on the other. The Aeros would be run off PY with all the rig sizes scored as one fleet. The Saturday saw a southerly sea breeze filling in just as we were launching and lasting for the rest of the day. The first race saw the front few boats doing the wrong course and having to unwind their mistakes, allowing Jane Peckham to in her RS Aero 7 to take the first win followed by Nigel Rolfe and Steve Cockerill. Race 2 saw Steve Cockerill in an RS Aero 7 taking an impressive win by over a minute and managing to keep up with the RS Aero 9s on the water. Jason Russell in a 7 rig took second with Paul Bartlett taking 3rd and first RS Aero 9. An increase in breeze for the last race of the day once again saw Steve Cockerill and Jason Russell taking the top 2 positions, with Steve Norbury in 3rd place. Meanwhile in the 9 rigs Paul Bartlett and Liam Willis were battling it out for 4th and 5th on handicap, at the finish Paul pipped Liam by 2 seconds to take 4th place. On returning to the beach we where greeted on with ‘drinks for tallies’ kindly supplied by RS Sailing - perfect for thirsty sailors after a hot day on the water! Everyone enjoyed a perfect HISC summer’s evening on the balcony eating curry, drinking plenty and listening to live music. The Sunday morning saw a light breeze and an hour’s postponement was displayed until some breeze materialised. It was the turn of the 9 rigs to take the top spots with the top three places going to Paul Bartlett, Liam Willis and Andrew Wilde who were all in their RS Aero 9s. Nigel Rolfe took the 1st place 7 rig in forth position. The Race officer tried to get another race in but the wind dyed off as the first boat got to the first mark and it was abandoned. When the scores were added up at the end of the weekend, Steve Cockerill come out on top. Paul Bartlett took second overall and first 9 rig. Top home boat, Jason Russell, in his 7 rig and took 3rd overall with Liam Willis in his Aero 9 closely behind. Nigel Rolfe took 5th Place overall. The first RS Aero 5s was to Hayling member, Hilary Baker. A very pleasant and fun weekend was had by all. Thanks to the huge amount of effort by Hayling Island SC and the RS Admins for putting on such a well managed 200 boat event and Harken and RS Sailing for their support. The RS Aero fleet looks forward to returning to Hayling this summer for the 2017 RS Aero UK National Championship [Link; http://www.rsaerosailing.org/index.asp?p=event&eid=1217 ] from 31st August to 3rd September. 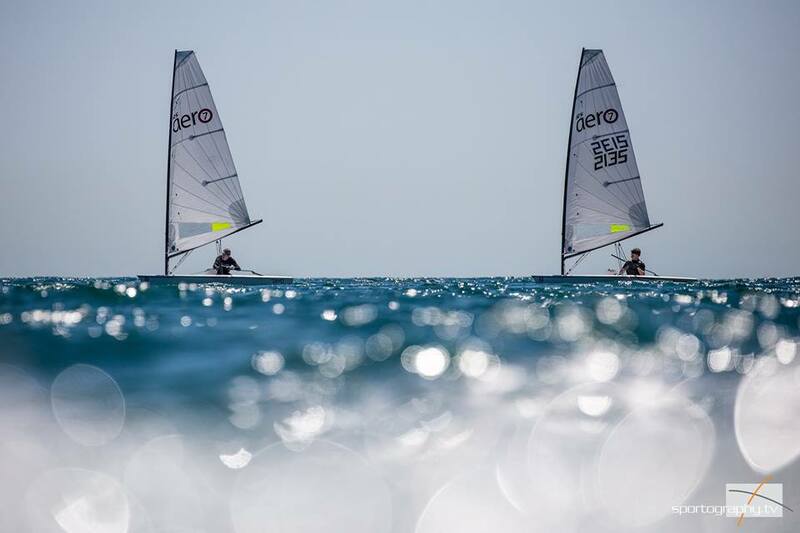 Online entry is open and following the Class’ first World Championship in France a month earlier good fleet of charter RS Aeros will also be available. 4 Races, 1 Discard, Scoring: PY.